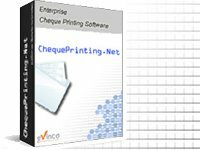 Cheque Printing can be customized with different font, font size, and font color. In menu "Settings", click "Printer & Font". A dialog is shown out. You can adjust the Paper Feed Alignment to fit your printer. Note: Some printers may have different interpretation on left/right alignments, you may try other settings also. You can choose different Font to be used in cheque printing. Default font color in cheque printing is black. You can choose different color by clicking on it. Font size is set as AUTO by default. The font size will be determined according to text input and space available. The printing will be best fit to the available space. You can choose a fixed font size from 8, 10, 12, 14 and 16. Anti-Aliasing Font can give a better printout by applying the gray-scale effect.